Britain will ban the sale of new petrol and diesel-powered cars from 2040 as part of a plan to get them off the roads altogether 10 years later, Environment Minister Michael Gove said on Wednesday. It follows a similar announcement earlier this month by the French government, while German cities including Stuttgart and Munich, have also said they were considering banning some diesel vehicles. The British Government has been under pressure to take steps to reduce air pollution after losing legal cases brought by campaign groups. In May, it set out proposals for a scrap scheme to get rid of the most polluting vehicles. Ahead of a June election, the governing Conservatives pledged to make “almost every car and van “zero-emission by 2050”. “Today we are confirming that that means there should be no new diesel or petrol vehicles by 2040,” Gove told media. The step will likely accelerate the decline of diesel cars in Europe’s second biggest market where they are blamed for poor air quality. The Volkswagen emissions test cheating scandal has added to concerns about diesel. Gove also said the government would make 200 million pounds (260 million dollars) available to local authorities shortly for schemes to restrict diesel vehicles’ access to polluted roads. He said he favoured road-by-road restrictions for diesel-vehicles rather than outright bans from town centres or costly vehicle scrap-schemes, but did not rule them out entirely if they were local-authorities’-preferred options. Earlier this month, Volvo became the first major- traditional-automaker to set a date for phasing out vehicles powered solely by the internal-combustion engine by saying all its car models launched after 2019 will be electric or hybrids. 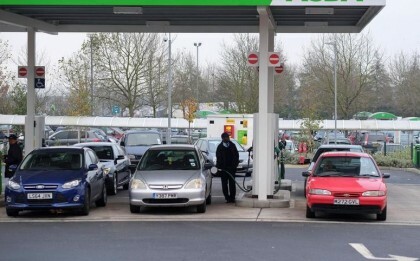 Demand for diesel cars fell 10 per cent in the first half of the year in Britain, whilst sales of petrol vehicles rose five per cent, according to industry data. Sales of electric and hybrid models have risen by nearly 30 per cent in the same period, the fastest growing section of the market, but it still accounts for less than five per cent of new car registrations. Mike Hawes, Chief Executive of the Society of Motor Manufacturers and Traders (SMMT) said consumers should be given incentives to buy such cars. “Currently, demand for alternatively fuelled vehicles is growing, but still at a very low level as consumers have concerns over affordability, range and charging points,” he said.